When it comes to conceiving and creating amazing furniture designs out of discarded things, no one can surpass BRC Designs’ creativity. 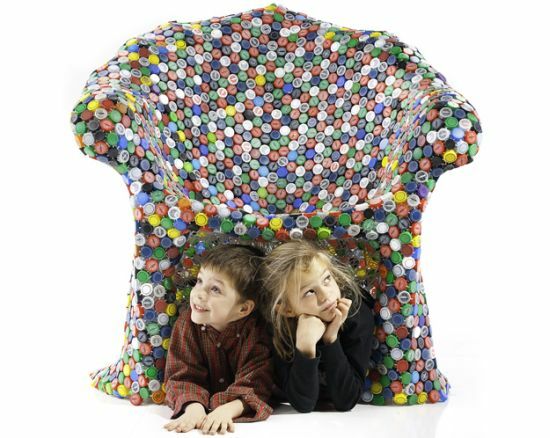 Continuing in the same vein, designer Benjamin Rollins Caldwell has come up with the Capped Out Chair this time. 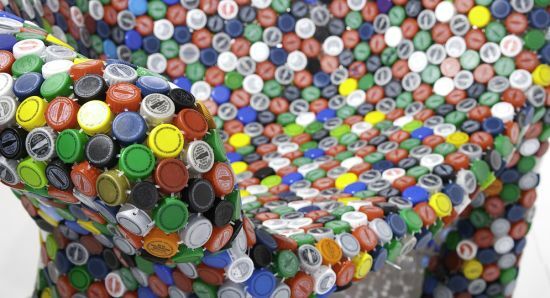 Made from numerous recycled soda bottle caps, the above-pictured chair further utilizes 99 percent recycled steel and white powder coating for finishing. 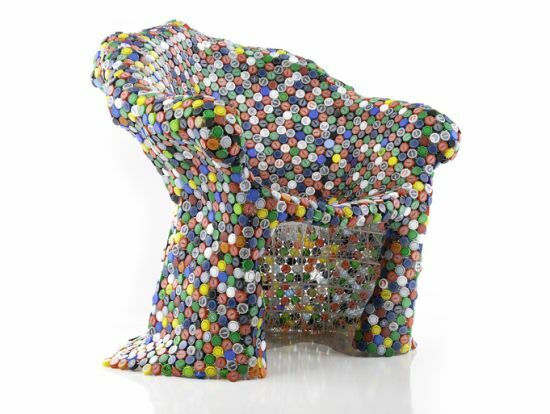 Contrary to common practice, the designer collected hundreds of discarded soda bottle caps and, through his sheer art, transformed them into a colorful furniture item. 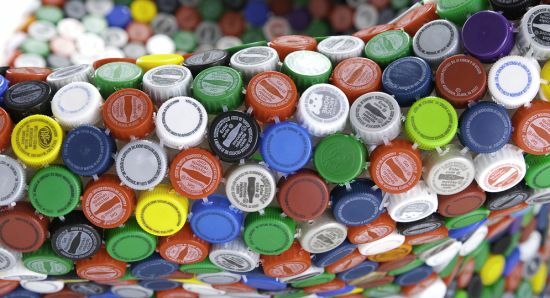 Benjamin utilized zip ties to bind the bottle caps. 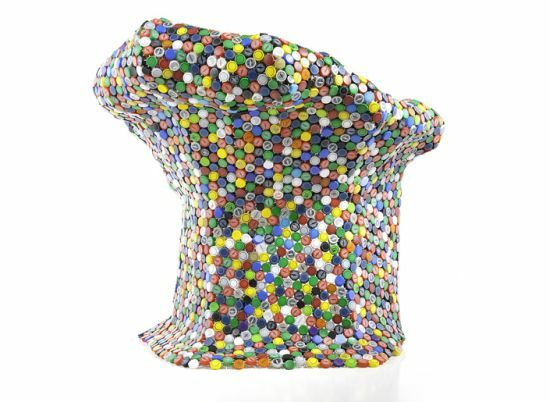 The Capped Out Chair features netted, empty space under the seat, which can be used for storing different kinds of stuff.